Football just got a little bit more rock and roll. Aerosmith and Lenny Kravitz have both written songs for their favorite NFL teams, and they debuted on Sunday when the New York Jets played the New England Patriots at Gillette Stadium. 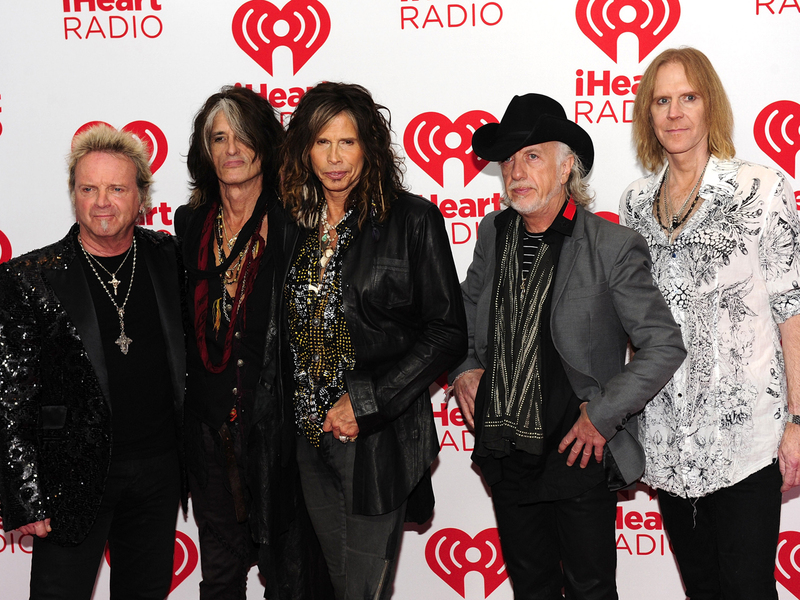 Aerosmith recorded "Legendary Child" for the New England Patriots. "Hearing our song being played as the soundtrack at all the tailgate parties to every touchdown is a testament to all the diehard Aerosmith fans in New England ... Go Pats!" Aerosmith frontman Steven Tyler said in a statement. Aerosmith: What to expect from "Music From Another Dimension!" "There's something about the word legendary and the words New England Patriots that have an amazing ring to them," Aerosmith guitarist Joe Perry added. "We're excited and proud to be part of that." Each of the songs were heard at the stadium and in TV commercials during the CBS telecast of the game. Fans can now download the tracks for free at PepsiAnthems.com. Aerosmith and Kravitz are just two acts who have recently collaborated with the NFL. Kid Rock created a song for the Detroit Lions, and Kelly Clarkson recorded one for the Dallas Cowboys. Ice Cube has a song for the Oakland Raiders; Travie McCoy has one for the New York Giants; and Wiz Khalifa did an anthem for the Pittsburgh Steelers. Aerosmith will release its new album, "Music From Another Dimension!," on Nov. 6. Kravitz, meanwhile, is working on new music.